There is so much to appreciate about Netflix. Quality original shows, Disney movies for the kids and classic movies that everyone should see. My kids love our Friday Night Movie tradition. We usually try to watch something new every Friday. 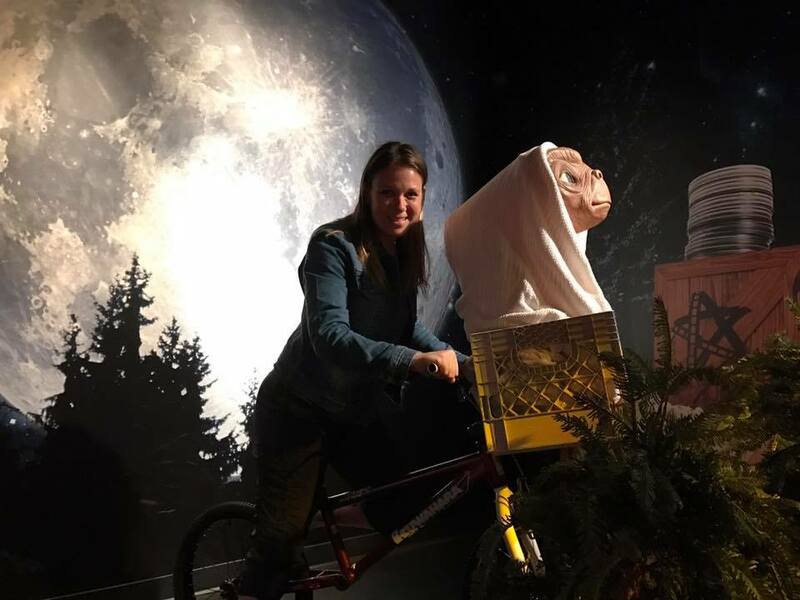 Last week, my daughter suggested we watch E.T. She had seen the suggestion pop up many times before but was never brave enough to watch it. I’m happy that she finally wanted to give it a try for so many reasons. E.T. is the first movie I ever saw in theatres. I was 4 years old and my dad thought it would be a great movie for me to experience with him. We headed to our local theatre, found the perfect seat and he ran out for popcorn. I’m not sure what he was thinking (my entire family laughs about this all the time) but minutes after he stepped out, the movie started. Aliens were landing on Earth. Needless to say… my dad came running back FAST when he heard me cry. I was traumatized but I actually made it through the movie. For obvious reasons, I had a very difficult time ever watching E.T. again. I think I re-watched E.T. in my teens but was still nervous about it. I shared this story with my children before watching the movie. They thought it was hilarious! They couldn’t believe my dad left me alone, they couldn’t believe how brave I was. My childrens’ E.T. movie experience was much different than mine. It was chill. We cuddled on the couch with our favourite blanket. The kids closed their eyes during the scary parts but really enjoyed the movie. I suggested that they dress up as E.T. for Halloween. That didn’t go over well, but it was worth the try! I really appreciate that Netflix has so many classic films available to stream. I love being able to watch these movies with my children. I really love that I was able to watch E.T. in the comfort of my home with my kids. Now they know all about E.T. and why their mom has “fond” memories of the film. Maybe they’ll even watch it with me again one day. I have a huge list of movies that I want to watch with my kids. Here’s my list of family friendly classics now on Netflix. Some we’ve already watched together, others I can’t wait to watch with my children. I’d love to know, what was the first movie you ever saw in theatres? Is it on Netflix? Disclosure: I am part of the Netflix StreamTeam. As part of the #streamteam I get special perks. All thoughts and opinions are always my own. I love this movie. I wish my kids did also. I loved ET and my kids did too. I love Netflix, so much choice. my first movie as well, I also had a crazy amount of E.T merchandise! I remember seeing both Annie and ET twice in movie theatres. I loved Annie so much that I had the dolls and acted out the movie with my neighbourhood friends. I would love to share these movies with my boys. I cried my eyes out when I first seen ET and to this day I still cry at the end!! I love that Netflix has some very good oldies to rewatch!! 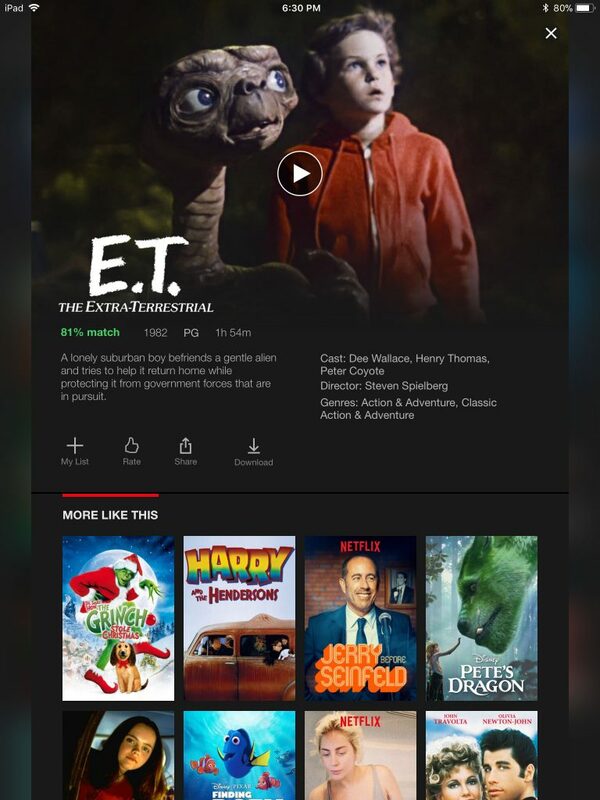 ET was my first movie too…although I was 12 at the time. I still love it and I think we’ll have to watch it on Netflix!